Precision comes from experience, know-how and calibration at regular intervals. DIN EN ISO 9001-9004 stipulates test equipment monitoring, if such equipment is relevant for product quality or is used for the preparation of assessments. This test equipment must be calibrated at regular intervals and traced back to national standards. The GOSSEN Light Lab is equipped with a monitored optical table, whose traceability to the national standard maintained by the PTB (German Federal Institute of Physics and Metrology) is assured by means of a WI41/G standard lamp. The lab is subject to test equipment monitoring in accordance with DIN EN ISO 9001-2004, and is additionally accredited for illuminance by DAkks in accordance with DIN EN ISO/IEC 17025 under registration number D-K-20315-01-00. And thus you can count on product quality, the competence of our employees, continuous external monitoring and international recognition of our calibration services. After determining that devices from other manufacturers are capable of being calibrated, we are pleased to issue either a DAkkS or a factory calibration certificate. If the device does not comply with at least class C, only factory calibration can be offered. Devices from other manufacturers cannot be adjusted. 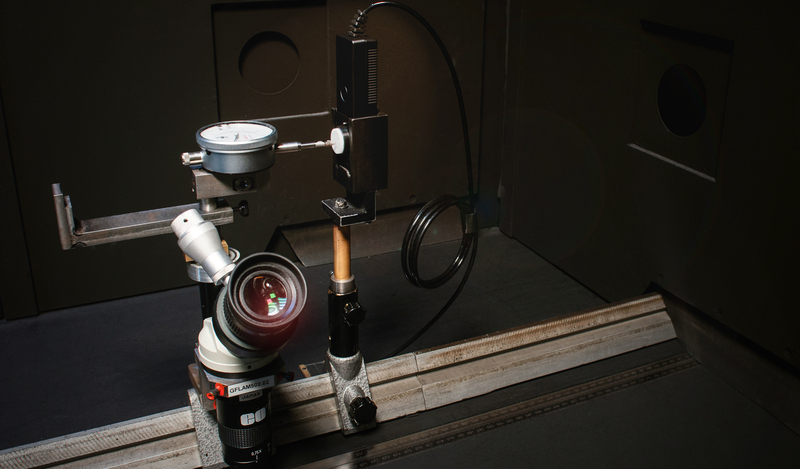 The factory calibration certificate includes calibration of illuminance values within a range of 1 to 50,000 lx with a relative expanded measurement uncertainty of up to 3%, or luminance values within a range of 0.5 to 10,000 cd/m² with a relative expanded measurement uncertainty of up to 4%. Relative expanded measurement uncertainty depends on the measured value and the measuring instrument, and is determined individually for each calibration value in accordance with CIE 198. For classified instruments rated at least Class C, the factory calibration certificate can be extended with additional measurement points for high illuminance values within a range of 50,000 lx to 200,000 lx with a relative expanded measurement uncertainty of up to 3% or for high luminance values within a range of 10,000 cd/m² to 50,000 cd/m² with a relative expanded measurement uncertainty of up to 4%. The DAkkS calibration certificate includes calibration of illuminance values within a certified range of 1.75 to 2000 lx with a relative expanded measurement uncertainty of up to 1.5%. Relative expanded measurement uncertainty depends on the measured value and the measuring instrument, and is determined individually for each calibration value in accordance with CIE 198. Calibration is limited to luxmeters which comply with at least class C in accordance with DIN 5032-7. As an independent company, we measure the characteristics of products manufactured or operated by you and submit a corresponding test report. Our offerings include the measurement of spectra, color rendering index, chromaticity, correlated color temperature, flicker, transmission and reflection within the visual range. Just tell us what your requirements are and we’d be happy to provide you with an individualized quotation. We look forward to your calibration order! In order to assure that we can process your order as quickly as possible in accordance with your requirements, and to provide us with the name of a technical contact person at your company in the event that we have any further questions, we would ask you to complete the Calibration Service form and send it to us along with the device to be calibrated.